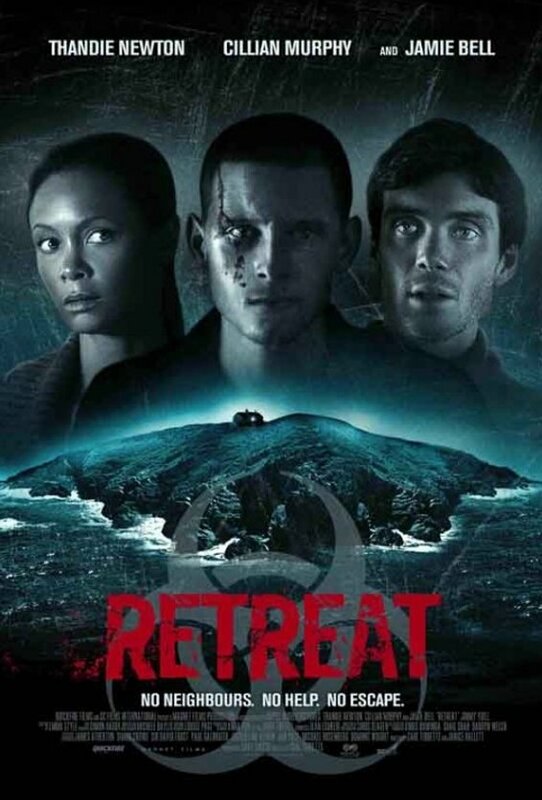 For a first time director, assembling a cast containing Cillian Murphy, Jamie Bell and Thandie Newton is quite a coup. But Carl Tibbetts, who also wrote the screenplay for Retreat, seems to have taken it in his stride. With a small budget, a small set and a small cast he allowed the cast space to improvise and came away with an accomplished first feature which will surely see him in demand for bigger and more ambitious projects. Retreat sees a grieving couple's healing holiday hijacked by what may or may not be a madman. Martin (Murphy) and Kate (Newton) are the couple in question, Bell the blood-stained intruder. Bursting in on the pair as they mourn their lost child, he regales them with the unlikely tale of lethal local virus from which he must protect them. Can he be trusted or are his motives more sinister? It almost goes without saying that getting the characters to their isolated cottage on an uninhabited Hebridean island is a clear contrivance. Not that it really matters in the grand scheme of things. The point is that they are alone and unreachable when their peace is interrupted. Indeed, many films have made much less original attempts to create such a situation. That said, there are some unforgiveably clunky scenes between Martin and Kate as their fraught relationship is played out. The worst of these occurs when the audience is made aware of Kate's inner feelings via the words she type on her laptop: clumsy exposition at its finest. Martin's obvious exasperation at his wife was easy to empathise with: Newton's Kate is particularly whiney and irritating. Thankfully, the film becomes much more satisfying when it essentially becomes a three-hander. The arrival of the bloodsoaked Jack (Bell) injects a sense of urgency and intrigue which is much needed given how difficult it is to care about Martin and Kate's relationship problems. Whether Jack can be trusted or not is unclear. His tale of a fatal airborne virus sounds unconvincing, but his conviction and military bearing lend him a terrifying credibility: Jamie Bell's intense performance is genuinely frightening. Martin is convinced and they set about sealing the cottage off to protect themselves from contagion. What follows is a claustrophobic study of how people react under extreme pressure and duress. Predictably, the dynamics of the relationships changes throughout and there are twists and turns a-plenty. Sadly, the only character in the film worth caring about is Martin. He's a decent but ineffectual man (which explains why he's so easily impressed by the hyper-efficient Jack). Kate, on the other hand is too dislikeable to invest any emotion in. It wouldn't have been much of a film if she'd died early, but it wouldn't have upset anyone either. The most interesting character, though, is Jack. Perhaps representative of military figures who've suffered psychological or physical trauma, he's chillingly unbalanced and seems incapable of relating to the civilian couple in terms they'd understand. Whether intentional or not, it's an interesting persective on a character so disturbed and paranoid that truth and lies may (or may not) be one and the same. The twists and turns which follow are nothing if not predictable and it would be a fool who didn't expect there to be some kind of twist at the conclusion. It's sad that when it arrives it merely exposes some pretty gaping holes in the plot. 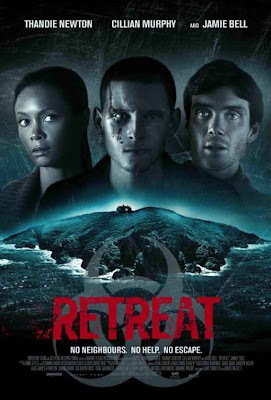 Still, with a superior cast providing reliably good performances, Retreat manages to elevate itself above the average. A decent first effort from Tibbetts which hints at more to come.